I am designing my digital photo album with the Photo to FlashBook Professional. It is a great photo album maker. But I don’t know any skills about making beautiful album. I have a question about how to decorate my pictures with frames like real pictures. Step1: open the software and add images into it at first. 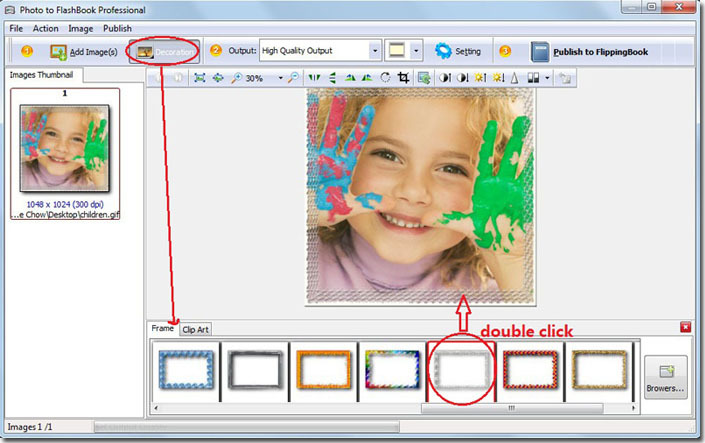 Step2: click “Decoration” to show frame at the button of the window. Step3: double click a frame which you like.